We are always on the lookout for Middle Grade reading level books that my kids will enjoy. The Middle Grade genre is focused on young readers in elementary school between the ages of eight and twelve years old. 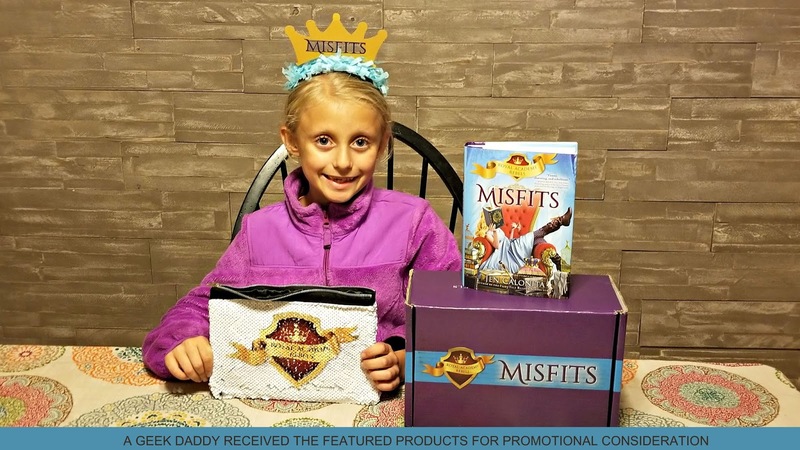 The content of these stories are void of profanity, graphic violence and sexual situations with a focus on being age appropriate for this audience and normally features main characters about the same age as their readers who are dealing with life situations, solving mysteries or taking part in a fantastic adventure. So my daughter was excited when we received an unexpected delivery at our doorstep promoting a brand new Middle Grade reading books series written with girls her age in mind by its author. 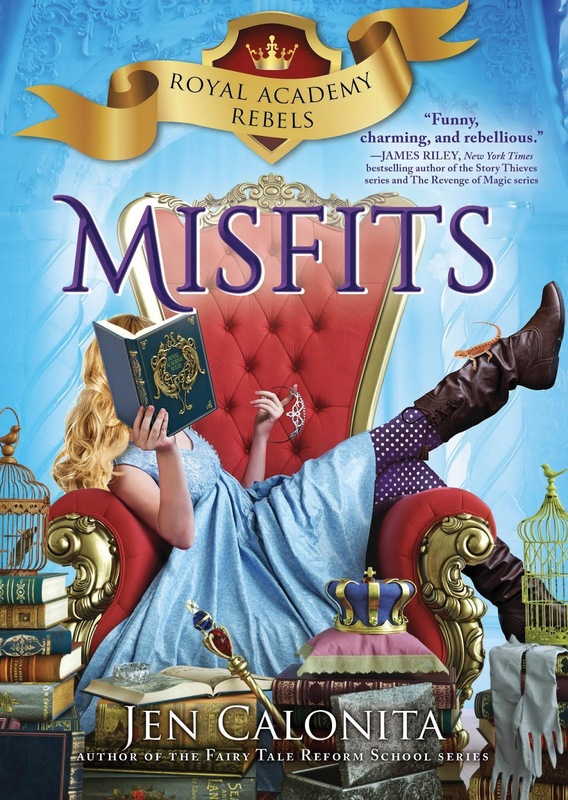 Sourcebooks sent us the first book in Jen Calonita's Royal Academy Rebels series, MISFITS, along with some princess themed goodies for her to enjoy. This Middle Grade book series transports readers to the fantasyland of Enchantasia where all the princesses and princes of the kingdoms that make up this magical place are sent to a boarding school called the Royal Academy that serves as a training ground for the fairytale leaders of tomorrow. 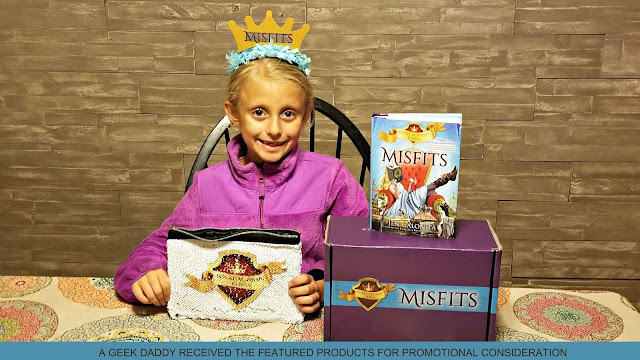 MISFITS introduces Devin a young princess who is more interested in being a caretaker of injured woodland animals than one day becoming a queen. She is a reluctant student as her parents send the girl off the Royal Academy to prepare her for living the life of royalty. Things seem odd when the school's headmistress, a fairy godmother named Olivia, displays an obsession with preparing students to defend themselves against attacks from evil villains. When Devin asks if the students are going to learn how to actually rule a kingdom, Olivina becomes enraged. This sets Devin on the path to an unexpected adventure. My daughter became hooked on this book right away when she first began flipping through its pages. She has taken the book to school to read everyday during her class's independent reading period and gives us progress reports on the story each night at dinner time. 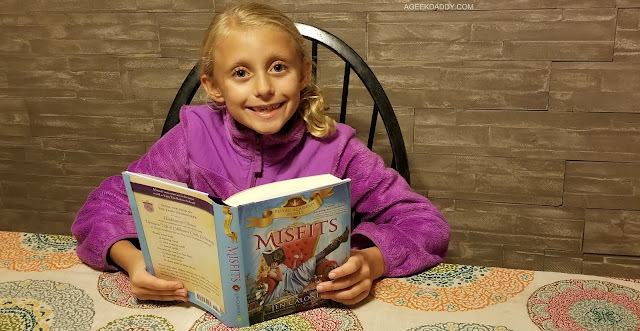 Based upon her enthusiasm for reading this story, MISFITS: ROYAL ACADEMY REBELS, BOOK 1 gets A Geek Daddy nod of approval. Click here to read an excerpt from MISFITS for yourself. For more information about author Jen Calonita and her Royal Academy Rebels books, head over to jencalonitaonline.com. MISFITS: ROYAL ACADEMY REBELS, BOOK 1 is available to purchase from Barnes & Noble, Books A Million, Target, and Walmart as well as other places books are sold.